Developed in collaboration with GetVanilla, whose bespoke design includes artworks, graphics and layouts to meet the Client’s brief. 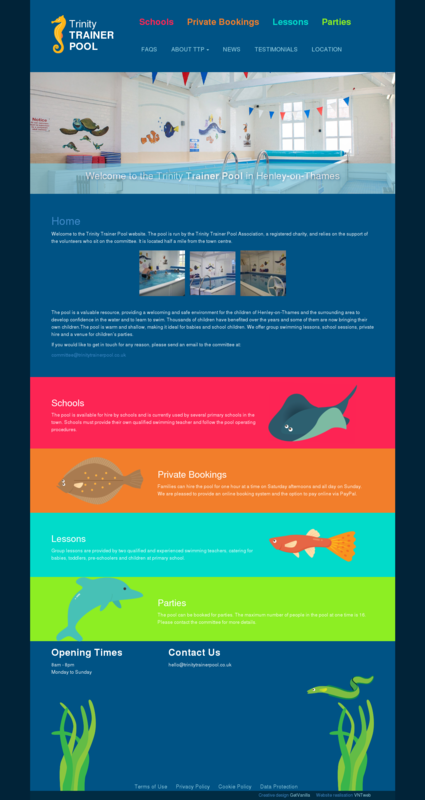 CSS3 transitions used to animate several images and a booking system Plug-in is integrated to give interactive swimming pool session bookings. The CMS enables the client to make changes quickly and easily within the website framework.